Задача: Center Parcs’ new village, Woburn Forest, was due to open just before the 2014 World Cup and needed a 12-metre projection solution in place in time for the big games. The sports hall, where the games would be shown, has considerable ambient light and the projector needed to be installed high up (around 10 metres high), so reliability and minimising maintenance were key. Решение: An Optoma EH7700 was installed with a ProScene WT2 (wide) lens in May 2014 in time for the opening of the new Village on 6 June and the World Cup games to start on 13 June. 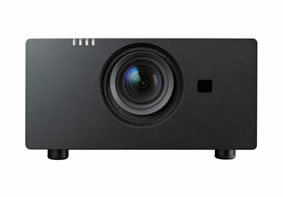 The EH7700 projector was chosen due to its outstanding brightness (7,500 lumens) and clear imagery created through the WUXGA resolution. Результаты: The new projector was cost-effective and exceeded Center Parcs’ expectations both in terms of cost and picture quality.